We hope that New Year has brought you lots of fantastic memories and amazing gaming experiences. As the saying goes “New year, new challenges” therefore we will try our best to live up to your expectations. Owing to your feedback on our previous Digger version (1.7.60), we were able to find and eliminate bugs that were interfering with gameplay. Firstly, we have sped up loading time. Many of you were experiencing a moment of confusion when Digger was loading too long. Obvious questions were to follow like: Has it crashed? , Is it a bug? Do I want that sandwich left in the kitchen. Right now, thanks to cranking up a few things, life is much easier and you can enjoy Digger to the full. Secondly, we have sorted out ads that were popping up (and sometimes crashing the game). Now, they won’t drive you insane while you play. Last but not least, we are expanding our virtual community by reaching to gamers using iOS. 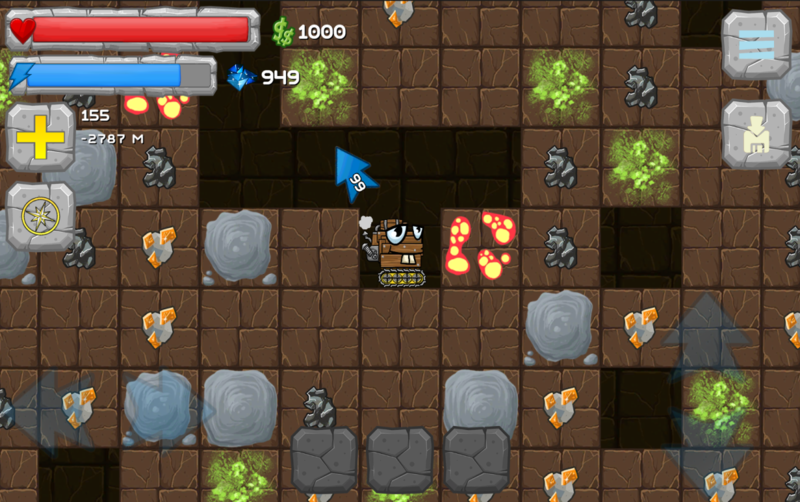 In the next two weeks or so Digger will be available on Apple store. If you like our game, encourage your friends to try it out. As always, we rely on your feedback so we can make our games even better and more enjoyable.